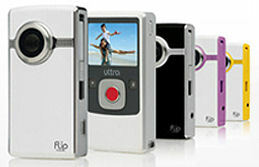 Pure Digital has released a new version of its Flip Video line of portable and fun camcorders -- the Flip Video Mino (see previous posts on the Flip Ultra, and the related RCA Small Wonder line). 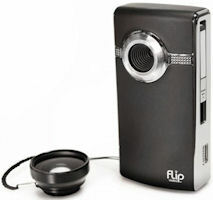 The Flip line is all about quick, fun, and easy shooting -- the cameras power on in under 4 seconds, and then just press the big red button to start recording. There are simple controls for play/pause, rewind/forward, volume/zoom ... and that's it. No issues about camera setup or video formats or other details -- just plain and simple. There's even a pop-up USB connector so you don't need any external cables. 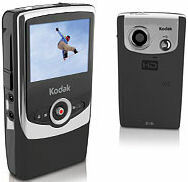 The cameras shoot 640 x 480 MPEG-4 video -- plenty good enough for quick posting to the web, and often quite reasonable for TV-res playback. 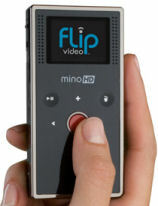 The new Flip Video Mino is designed to be even easier to carry than the Ultra by shrinking to half the thickness (now 3.94 x 1.97 x 0.6 inches), and from 4.9 to 3.3 ounces -- much less bulky in the pocket. The slimming is enabled by doing away with removable batteries, and using internal rechargeable batteries, replenished though the USB connector, which now pops out to the top of the unit. 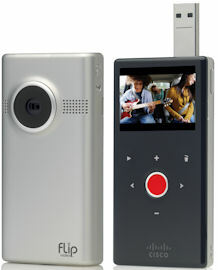 Other enhancements include the smoother design with backlit touch-sensitive buttons, and an enhanced video engine, so you now can pause, fast forward, and rewind during playback. 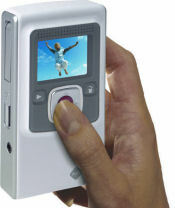 The camcorder also includes built-in software for Windows and Mac to organize, edit, and share your videos, now including uploading directly to MySpace for the social networking generation. 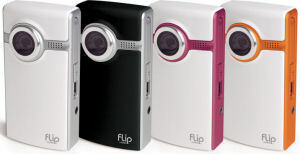 The Flip Video Mino is available in white and black for $179, with 2 GB of internal memory, to store approximately 60 minutes of video (There's no slot for additional storage cards). 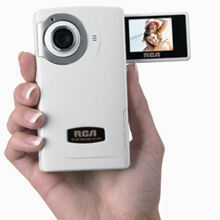 These simple camcorders make great wedding gifts for easy and fun shooting on the honeymoon. And they work well for desperate adults who don't know what kind of gift to get younger relatives. Someday all our devices will be linked wirelessly, so our growing collections of data and media can be automatically synced with whatever device we happen to be using. 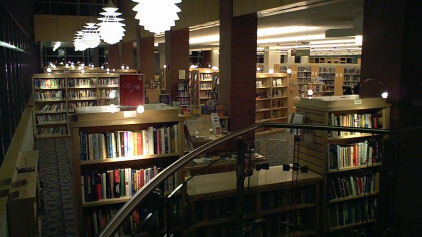 Until then, we're stuck with manually cabling devices together and then selecting files to copy and sync between them. This isolation is particularly irritating when you're on a trip shooting photos, and you'd like to share them with family and friends at home and elsewhere. 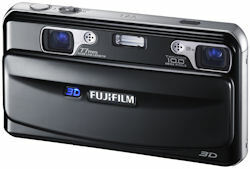 One interim solution is to use the Eye-Fi Wi-Fi SD card (see previous post) to add wireless connectivity to your camera. 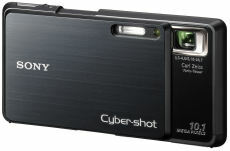 But now Sony has introduced its own Wi-Fi enabled camera, the Sony DSC-G3 Cybershot Wi-Fi digital camera. The G3 connects to photo sharing sites though wireless access points (802.11b/g), public and personal, free and fee-based, secure and unsecured. 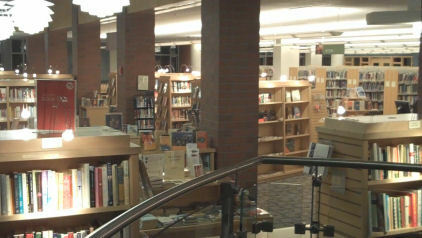 It includes free AT&T Wi-Fi access though 2012. 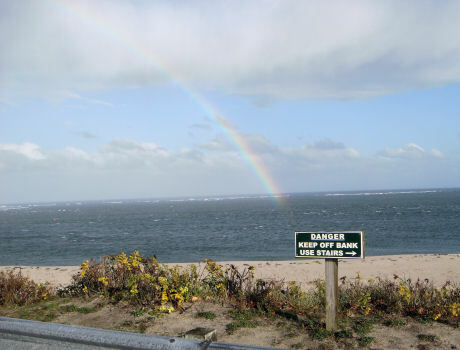 The embedded Web browser navigates to the Sony Easy Upload Home Page, with direct upload to Web photo and video sharing sites like Shutterfly, Picasa, YouTube, Dailymotion, and Photobucket. 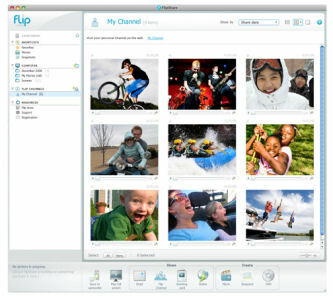 You also can upload to other sites, send e-mail when you upload, and access uploaded photos from sharing sites to display on the camera. 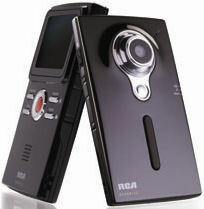 As a camera, the DSC-G3 has a 10 megapixel sensor, 4X optical zoom, and shoots VGA (640 x 480) video. 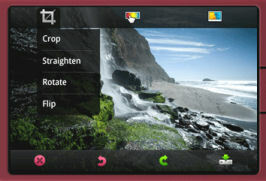 The 3.5 inch touch screen LCD display is widescreen, to use the camera as a photo album to view your favorite images. The G3 includes 4 GB of internal memory (enough for 1000 full-res photos), and accepts Memory Stick DUO PRO media cards of up to 16 GB. There's even a PhotoMusic slide show option with built-in effects and pre-loaded music tracks (or add your own). 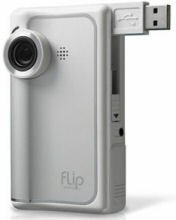 The camera incorporates Sony image processing technology to try to make shooting goof-proof, including Intelligent Scene Recognition of 8 types of scenes (Backlight, Twilight / with Tripod, Portrait, Landscape, Macro), 14 photo scene modes, Dynamic Range Optimizer for best exposure and contrast, Face Detection (up to 8 faces, children vs. adults, with smile detection, and blink warning), plus Double Anti-blur with SteadyShot Optical image stabilization and high ISO sensitivity for low light. 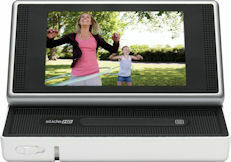 The DSC-G3 available in black for $499.99. 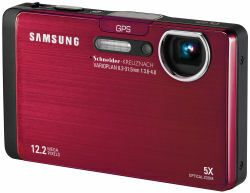 Find the Sony DSC-G3 camera on Amazon.com. Instant photography is back! The magic of the old Polaroid instant cameras was the satisfaction of having that physical, tangible photo to show around and save. 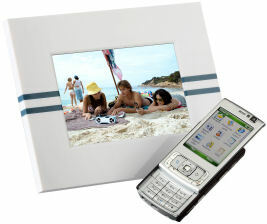 Showing your digital photos on the screen of your mobile phone is just not that same, and you really can't stick your phone on your wall or fridge for decoration. The magic behind this is ZINK (Zero-Ink) printing technology, photo paper embedded with dye crystals that "print" from heat, with no ink cartridges or ribbons required. 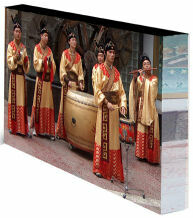 So you can print little 2 x 3 inch borderless photos in about a minute. And these prints are ready for fun: they come out dry to the touch, and are smudge-proof, water-resistant, fade-resistant, and virtually tear-proof. Plus, they have a peel-off sticky back for scrapbooks or decorating. These cost around 33 to 40 cents per print, with 10-packs for $4.99, and 30 packs for $9.99. 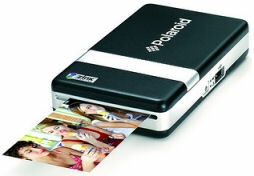 So last summer Polaroid introduced the Polaroid PoGo Instant Mobile Photo Printer, which prints wirelessly from mobile phones (by Bluetooth), or from digital cameras using a USB cable (using PictBridge technology). The printer itself is about the size of a digital camera (a bit larger than a deck of cards, at around 4.7 x 2.8 x 0.9 inches), and weighs 8 ounces. 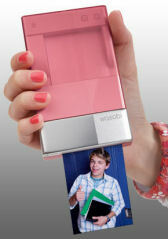 It uses a rechargeable lithium-ion battery, and can print 15 prints per charge. 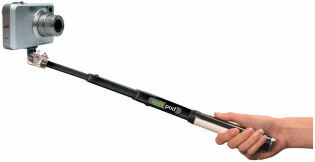 The Pogo Printer is available for $149, in black and red. And Dell has just announced their version of this idea -- the Dell Wasabi PZ310 Wireless Mobile Printer. It adds a button to reprint the last image, and is available in vibrant pink, black and blue. Dell is running an introductory promotional price of only $99, with the regular price at $149. So now you can take some shots with your camera phone, review them on the display, and then choose "Print to Bluetooth" (or similar) to transmit the photo to the printer -- and have a print ready to share in about a minute. Of course, the obvious next step is to get back to the instant camera, which is exactly what Polaroid announced at the CES conference -- the new Polaroid PoGo Instant Digital Camera, a 5 megapixel camera with integrated instant printer. 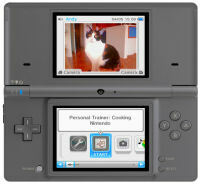 It has a 3" LCD display, SD slot for expanded memory, and is 4.7 x 3 inches and 10 ounces. It's due in March for $199. 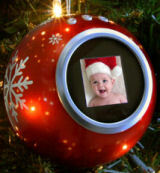 You'll still have to add the white instant photo frame around the picture yourself. 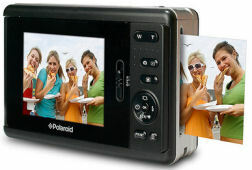 Find the Polaroid Pogo Printer and Pogo Camera on Amazon.com. Sony has announced the latest version of its Alpha line of digital cameras -- the α9 full-frame interchangeable lens camera for the the professional imaging market. 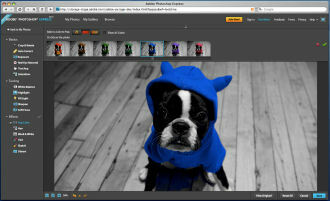 - a maximum shutter speed of up to 1/32,000 second. 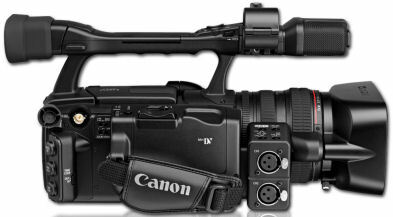 It also shoots silently, with a vibration free, fully electronic, completely silent anti-distortion shutter, with no noise from a mechanical mirror or shutter. Plus the electronic viewfinder has no blackout when the shutter is released while shooting stills, providing a seamless live view of the subject at all times. Sony also has added pro features including an Ethernet port for file transfer, dual SD card slots for split storage or backup, and extended (2X) battery life. The Alpha 9 is relatively compact at 5 x 3 7/8 x 2 1/2 inches and 1 lb., 7.7 oz. It ships in May for about $4,500 US. 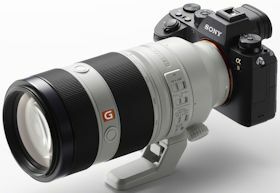 Sony also announced its furthest reaching E-mount lens, the Sony G Master FE 100-400mm super telephoto zoom lens. 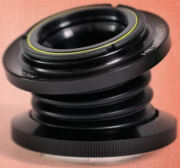 The lens features a double motor system that allows rapid AF lens movement. 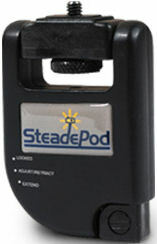 It is lighter, smaller and more portable at 49.3 ounces. It will ship ship this July for about $2,500 US. See full news post at Videomaker Magazine -- Sony Reveals New a9 Full Frame 4K Mirrorless Camera. Panasonic has upgraded its LX high-end compact camera series with the new Panasonic LUMIX LX100 II. The LX100 design approach uses a built-in lens to permit a more compact body. 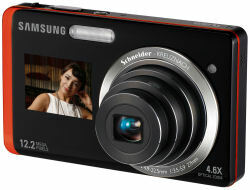 It's designed as a large sensor compact camera with a built-in lens. Note that it's not a Micro Four Thirds mirrorless interchangeable lens camera like the GX9 -- although it has the same size 4/3 inch sensor. Basically, you can think of the LX100 II as the LX100 design updated with the GX9 sensor and engine. This new version adds a higher-res 17 MP sensor, boosts the specs, and enhances 4K photo modes. It supports shooting high-res 4K video in 3840x2160 at 30p or 24p, plus capturing 4K Photo bursts at 30 fps in 8 MP equivalent resolution. The LX100 II will be available in October for $999, and only in basic black. 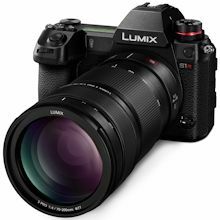 Panasonic has just introduced a new LUMIX S Series line of cameras -- its first full-frame Digital Single Lens Mirrorless cameras, with a 35mm full-frame CMOS sensor. These are focused on full-up professional photographers and videographers, with an emphasis on advanced picture quality and extensive creative control. The S series is launching with two cameras and three lenses, with the cameras very clearly distinguished. - The LUMIX S1R is designed for professional photographers. 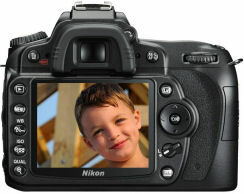 It has an astounding 47.3-megapixel full-frame CMOS sensor, plus High-Resolution mode for 187-MP photos. 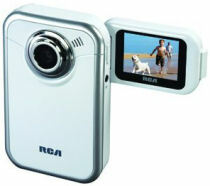 It also has extensive video capabilities, as expected from Panasonic cameras. Both cameras shoot video to 4K 60p/50p. - The LUMIX S1 is designed for hybrid use by professional videographers, combining advanced photo capabilities with a 24.2-megapixel full-frame CMOS sensor. 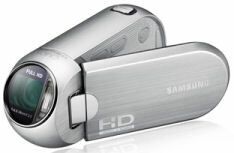 It has more cinematic features, including support for MP4 HEVC and 4:2:2 10-bit 4K. These new LUMIX S series cameras are a big step forward for Panasonic, moving from the smaller and lighter Micro Four Thirds G series to bigger, heavier, and more rugged full-frame cameras designed for professional use. The S1R with its 47.3 MP sensor targets photographers. It's priced at $3699 (body only), or $4599 with the 24-105mm lens kit. The S1 with the 24.2 MP sensor is a "hybrid" camera for more balanced use for video and photos. It's priced at $2499 (body only), or $3399 with the 24-105mm lens kit. Three new lenses are available from Panasonic: The LUMIX S PRO 50mm F1.4 lens is priced at $2299.99, the LUMIX S PRO 70-200mm F4 O.I.S. is $1699.99, and the LUMIX S 24-105mm F4 MACRO O.I.S. is $1299.99. Entries posted to Manifest Tech Blog in the Digital-Imaging category, listed from oldest to newest.